Is there any greater scourge in golf than slow play? Worse than sandbaggers, worse than snap hooks, worse even than warm beer from the drink cart, slow play affects everyone. It’s almost impossible to avoid, turning an otherwise wonderful day outdoors into golf’s equivalent of the Bataan Death March. With the notoriously slow PGA Championship in our rear-view mirrors and the dog days of summer wrapping languidly around us, the writers at The A Position methodically and ponderously scratched their heads for their favorite slow-play stories. And by “favorite” we mean either the slowest rounds we’ve lived through, the rare moment of humor generated during a slothful slog, or a lesson (life or otherwise) learned during overly purposeful play. Kicking it off is Christopher Smith (left), a TAP member and golf’s fastest man. If he can learn something from slow play, there’s hope for all of us. 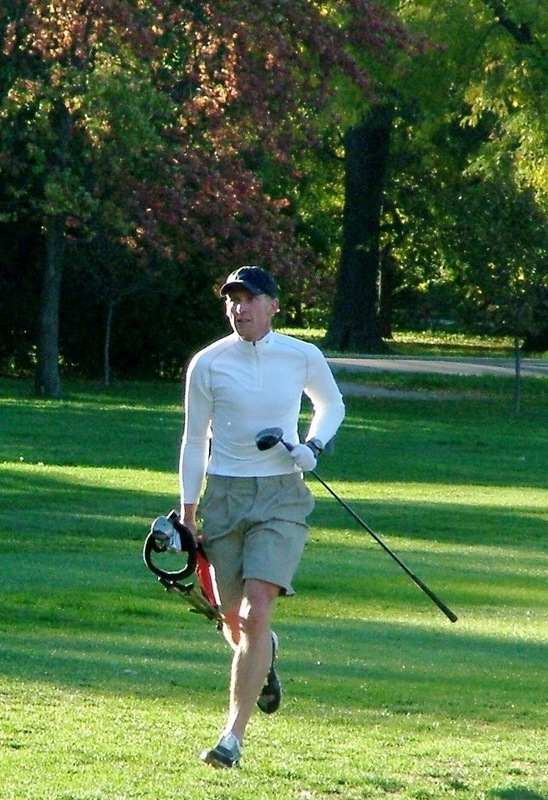 As the world-record holder in speed golf—I fired a five-under par 65 for 18 holes in a smidge over 44 minutes carrying just six clubs in Chicago in 2005—I know a thing or two about the benefits of a brisk round of golf, and the noxiousness of a slow one. Playing more deliberately will not help you play better. Ask the neuroscientists, who tell us our brains function much better when we just “see” and “react.” Better yet, query former world number-one Greg Norman on his final-round debacle at Augusta in 1996, the epitome of how taking more time can poison your game and probably the most painful example of slow play I’ve ever witnessed. Norman’s pre-shot routine that week was in the 10-12 second range. Until Sunday afternoon. By the time he reached Rae’s Creek during that fatal final round, his routine had slowed to nearly half a minute over each shot, his dreams of a green jacket drowned by over-cogitation. Dyker Park Municipal Course, Brooklyn, New York. I knew something was off when we showed up for our 9 a.m. tee time and the woman in the pro shop said they were running behind and suggested we get a pitcher of beer and wait outside for our name to be called. We went off more than an hour late, there were at least two foursomes at every tee, the front took 3 1/2 hours to play, and we walked off after nine so we wouldn’t miss dinner. The scene was Livermore, California, the course, Wente’s, and this was my return to competition. As a reinstated amateur in 1979, I had virtually given up competitive golf in the meantime, but this 2006 round hosted by one of the leading for-profit amateur entities had my juices going and my hopes high. Cool overcast weather greeted us this winter day. The challenging layout was set up only moderately difficult from the middle tees—very fair for this scratch 36-hole stroke play competition. Seven hours and 16 minutes after teeing off, we finished. “Bad,” you say? The second round took 7 hours and 32 minutes! The experience was hellishly slow and completely rid me forever of all my competitive urges. 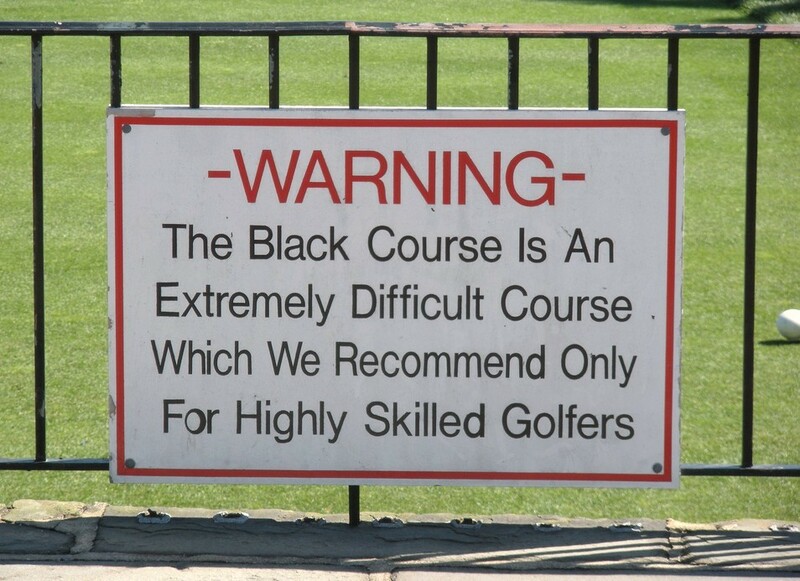 Despite the rather obvious warning, New York’s Bethpage Black gets play from every yahoo that can swing a piece of scrap metal on the end of a stick. Most of these golfing miscreants don’t belong on the Waukesha local muni much less a U.S. Open venue. 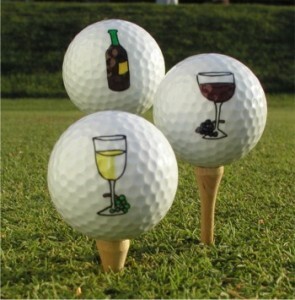 And of course, they all have to tee it up at the tips, failing to reach even one fairway during the course of the day. As I watch these folks clog the course in a way that Drano couldn’t relieve, I wonder how they could call the experience fun? Yet, invariably, they walk off with a smile and a memory. I simply walk off nearly seven hours older. Seven hours during a 105-degree afternoon. In a scramble with about 40 other foursomes, including at least 120 individuals playing their only round of the year. Dodging errant shots that flew in directions that defied the laws of physics. On a poorly maintained muni track with no architecture to provide visual relief. As time seemingly ground to a halt, the glacial experience could make a fella almost quit golf, were it not for such a good cause. In honor of his second-born child who died as an infant, a friend started a foundation to support children’s hospice, helping Northern California families get at-home care for terminally ill kids. Now in its 12th year, the tournament is the foundation’s major fund-raiser. I still pay my entry fee, gladly, while spending those torturous hours far away from the otherwise worthy event. The slowest round of golf I ever had to endure was, I hate to admit this, with my journalistic brethren at a Media Day. The round was well over five, I don’t know, it could have been seven hours, in length. I believe there were some tee shots fired over the afts of the miscreants in front of us and rather unpleasant words exchanged all around. But the round did result in two wonderful anecdotes. When a particularly slow-paced woman who was playing with us hit a ground ball about 15 yards and then had the audacity to ask what the yardage on her next shot was, my playing partner answered quickly, “It’s about one club less than your last shot.” I also had a photo of myself taken where I’m lying on the tee box with my driver positioned to appear as though I have run myself through with its shaft out of despair. Lesson learned? Always try to get out first on Media Day. I hate slow play. 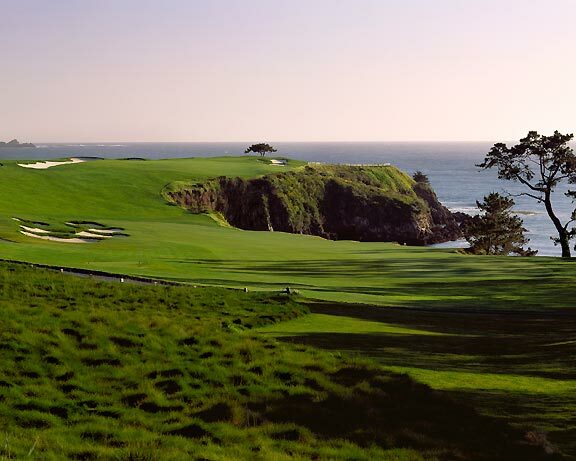 So when a group I was playing with at Pebble Beach got stuck behind a foursome of businessmen who’d brought along not only their wives but an entire production crew to capture their round in all its hi-def glory, my groaning could be heard clear over to Point Lobos. “We’ll be out there for six hours,” I cursed. In reality, it was closer to seven. But a funny thing happened that day. Having to wait… on every… single… shot… forced me to do something I don’t do enough of—stop and look around. As a result, I appreciated the unparalleled beauty of Pebble Beach and Stillwater Cove and the Del Monte Forest all the more. I still prefer to play fast. But this round taught me that an occasional slow round, particularly when it’s on a course as stunning as Pebble, can actually be pretty nice. A few years back, I was playing one of the top private clubs in Las Vegas. The group in front, we soon discovered, was comprised of three fairly well known golfers: Tiger Woods, David Duval, and Butch Harmon. I knew this was going to be a long day considering that both David and Tiger were hitting more then one ball. I suggested that we ask if we can play through. That idea went over like wanting to hit your ball under the lip of a bunker, so we were content to keep playing at a painfully slow rate. How slow? Put it this way: By the time we did finish, my new golf shirt was out of style. But it was still cool to watch. I played a resort course in the Southeast about 10 years ago where the pace of play was slower than wet cement. Eventually I came to the source of the problem: the slowest, least etiquette-savvy group I ever played behind, two gentlemen and two ladies, nicely dressed, not Americans, perhaps very new to golf. They kept hitting into the woods and would all politely go in search of each ball. On one hole they were in the woods to the right of the landing area for so long I decided to tee off with a 5-iron and make my way forward. I kept it short and left, with a plan to apologize when I got out there and skip ahead. Speed-walking, I got within 50 yards of my ball, then 25, and still the four-player search inside the treeline continued. I jogged the last few strides, pulling a 5-wood from my bag. It was clear ahead, so I took my stance and banged one forward. When I got even with my layup, I peeked back and saw one of them in the fairway getting ready to hit. Ah, but he had the wrong club, and back toward his cart he ambled. I zipped to my ball, wedged it 90 yards to a spot pin-high, turned back to wave thanks… but no one was looking my way. Was this the only time in golf history that a foursome was played through without any of the four realizing it? The slowest round of golf I ever played was also among my most enjoyable. In 1991, my late friend Desmond Muirhead invited me to join him for the grand opening of Wakagi in Japan. The course was nestled in a valley thick with trees and brooding fog. Two sets of caddies driving special carts with our clubs tended to our foursome. It took three hours to play the front nine. We finished just after noon, in time for lunch. We hit the 10th tee about 2 p.m., after a meal that included cold beer. We tapped in our last putts at 5, nine hours after teeing off. We repaired to the locker room, where a black granite soaking pool fed by a hot spring eased our aching joints. We had scrubbed ourselves first, attended by little old ladies tip-toeing about with towels and scrub brushes. The view from the tub was splendid. Dinner followed, so our day at the course concluded about 9:30—a 13 1/2-hour round. Some players had flown in from Tokyo. Desmond was delighted with his creation, and I adapted to the spirit of a round where time stood still. At Sagebrush Golf & Sporting Club in British Columbia (right), they say that the group ahead of you probably teed off yesterday. Indeed, our “posse” of six had the private, 7,400-yard links pretty much to ourselves. On number 13 we teed off then headed into the Hideaway, a Mongolian yurt and patio, for Angus beef sandwiches, upscale beverages, and fly-fishing on the lake. Some golfers, I’m told, never make it back to the fairway. How long was our round? Don’t know and don’t care. It was the early 1970s. Golf was a nerd sport then. 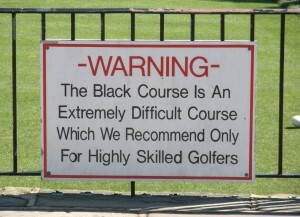 One hot summer day, a college pal from Long Island took me to Bethpage Black, which was threadbare but great. We got behind a group that apparently hadn’t read the “Warning” sign on the first tee citing the layout’s extreme difficulty and recommending it only for highly skilled golfers. We hit the five-hour mark on the 14th green. Suddenly huge dark clouds rolled in. A clap of thunder, a bolt of lightning, and the round was over. Or so I thought. A year later, I mentioned to a Bethpage regular that I had played the Black. He asked me what I thought of the final four holes. I told him of my rainout. “Fuggetaboutit,” came the reply. “You didn’t play no Black.” And so I returned the following year to complete my round. That’s 18 holes in 11 months. My longest and slowest round ever. The slowest round of my life, for better or worse, is like the movie Groundhog Day: It has been going on for decades, and I am condemned to repeat it, over and over, with my college friends, when we gather for our annual joint family vacation in Door County, Wisconsin. Our tee time may be at 9:42 a.m., but the round often begins the previous night with discussions about the types of wagers and the amounts. (If your 10 handicap scores, for example, are spread over three years, is that really your handicap?) These debates don’t crescendo until the 17th tee, when the precise definition of “auto press”’ remains a hot topic. Mix in the guy who takes the most realistic practice swing—I always look down the fairway—with the guy who eyeballs his putt from all six corners of the green before plumb-bobbing and you can see why these rounds have an Endless Summer quality. Ordinarily, I prefer to play fast. With these dear friends, I relish every minute. Clearly it has been a bit toasty of late. I teed it up in triple-digit temperatures recently and felt like I was inhaling oatmeal for four hours. At one point it appeared my sweat was sweating, but that may have been a hallucination. All of which made one member of our group’s slow play particularly grating. Every time this guy stood over a putt, he went through the ever…so…painfully…slow…shoot…me…now…routine of reaching back to wipe his putter face off along the cuff of his pants—even though he was wearing shorts and therefore appeared to be dampening his putter face even more against his sweaty ankle. When it’s so hot you feel like you’re on Mercury, playing with this self-absorbed tortoise planted homicidal thoughts in my head. The occasion was the completion of the Atunyote Course at Turning Stone Resort & Casino near Syracuse, New York. Designed by Tom Fazio, it is the final component in a triumvirate of excellent layouts and thus an eagerly anticipated arrival. Especially exciting was the prospect of having a tribal elder of the Oneida Indian Nation, which owns and operates the resort, in our foursome. 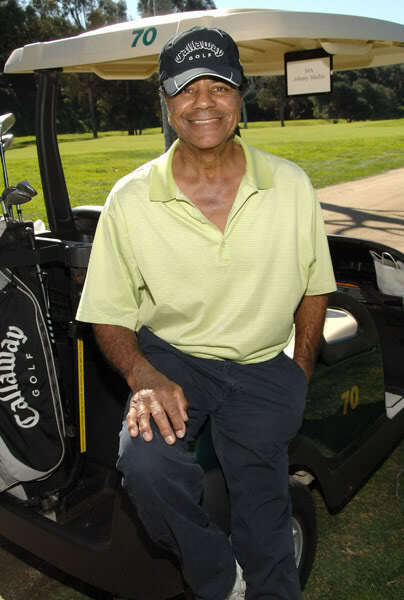 The elder turned out to be a novice golfer whose mien somehow melded cheerfulness and inscrutability, deliberate intensity and ineptitude. Characteristic of upstate New York weather in the late spring, we teed off in bright sunshine but were doused while playing the second hole, a hypothermia-friendly pattern destined to be repeated every three or four holes over the span of six hours. On the positive side, the elder did reveal how the course’s name—Atunyote means “the eagle”—was chosen: The Chief suggested it and the tribal council immediately agreed. I was the director of golf at Garra de Leon Course at Melia Playa Conchal in Costa Rica 12 years ago when we had a group from a sales meeting playing in a scramble. Everyone had finished play in just over four hours—except one foursome. I went to check on them. They had just hit their tee shots on Number 16 and were driving down the fairway. I noticed that one golfer hit his second shot then went running after the ball, picking it up and returning to the other three. I asked, “What’s going on?” “That’s the only ball we have left,” one golfer said. “We lost all the others by the time we got to 15 and only got a sleeve each when we started.” I provided some extra balls but it was another 40 minutes before they finally finished almost six hours after teeing off. Thank goodness, no one was behind them. One year during the annual PGA Merchandise Show in Orlando, two fellow golf writers and I teed off for a complimentary round at the nearby Celebration Golf Club. A father-and-son collaboration between Robert Trent Jones Sr. and Jr., the course is fun to play if one can keep moving. Alas, our play quickly ground to a meditative halt. The maddening snail’s pace of waiting (and waiting) on every shot—no doubt exacerbated by too-short tee-time intervals—never let up until we gave up, leaving the course without completing the round. We later found out that the club manager had been playing behind us and his group fled in frustration, too. Maybe that led to better pacing practices, because in subsequent years, participating in an annual Scotland Golf Day outing, play moved along briskly: cause enough for celebration. 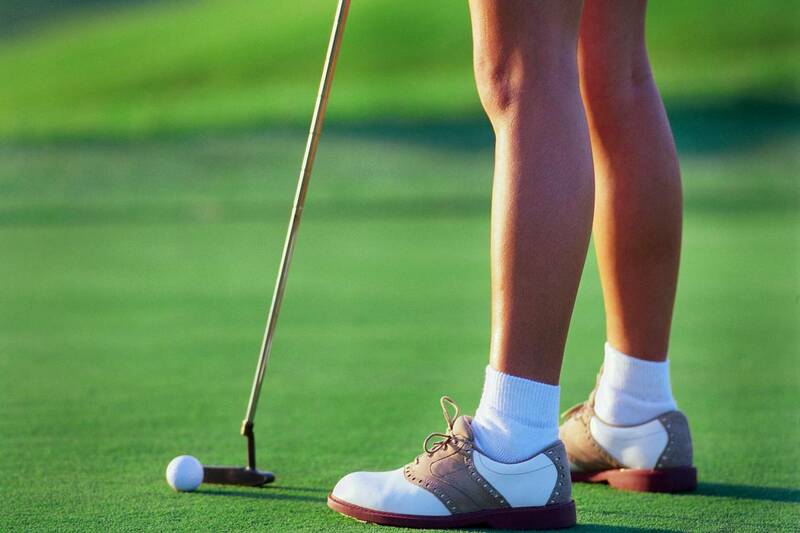 Like the slow notes of a funeral dirge, so go most charity golf outings. Well-meaning tournament directors cram as many foursomes as the tees can hold. The result is ghastly as sloth-like play spreads throughout the course and players vow never to return. Equally annoying is the eight-hour eightsome some events employ to maintain integrity, mostly for Calcuttas, while also protecting $20 trophies. Far worse was the eight-hour marathon in 95-degree July heat, high Michigan humidity, empty water coolers (before bottled water), and too much free beer and booze. Assigned as the “media celebrity” to Mr. Corporate Sponsor son’s group, I suffered through 18 holes of drunken antics and unfunny jokes as the inebriated horde fell down, couldn’t get up, and hugged me with sweaty, slobbery bodies every time they made contact with the ball, Happy Gilmore-style. Though it was over 25 years ago, I still cringe. The best collection of slow-play stories I’ve ever heard or read. And I’ve heard a few stories! I’d like to give a shout out to all the 15 and 20 handicaps who come to a new course and announce they want to play from the tips. Last year I was on a press trip to Puerto Rico and we were invited to play the challenging and beautiful Bahía Beach Golf Course, a 7,000 yard track from the back with, I believe, water on 17 holes. As we arrived, one of our group made it clear he wanted to “see all the course.” A definite red flag, since he was in that 15-20 range and a short hitter to boot. The pro was watching our group warm up and came over to the two of us who were single-digit handicaps and said “You guys will definitely want to go off first,” which we quickly did. We played the back tees on the par threes and fives and the middle tees on the long fours. We played at a leisurely pace, finishing in under three hours. We washed up, had a drink and went down to the pro shop. The group behind us, seeing “all the course” (and a lot of the water), had just arrived at the ninth green! Folks like that are a huge cause of slow play, but their egos won’t allow them to realize how little fun they’re having. Tilden Park in Berleley- 5 plus hours on a regular basis. Lucky the bar is close to the 13th hole. Ready golf ? not a chance. I tend to play my home course evenings when only the deer and I are out there; easy 3 hour round. But I occasionally play a ‘nine & dine’ with other couples. At one we teed off at 5:30 following 3 couples; 3 women in the lead group, 3 hubbys in following group. By the 3rd hole they were playing as a 6-some, with ladies receiving lessons on every shot. By the time we finished 9 holes (3 hours later… 8:30PM)the waitress told us the kitchen had closed, and all they had available were cellophane sandwiches! 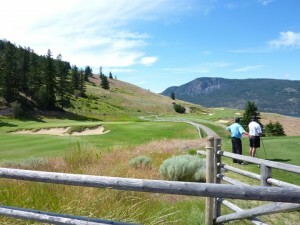 Another time I took my daughter with us to her first 18 hole round, who after 5 hours of standing around said something like “Dad, I like golf but in the same amount of time I could have played squash, showered, went to a movie and had a meal at a restaurant, all for less money than it cost to play”. So she gave up golf. Can’t blame her.